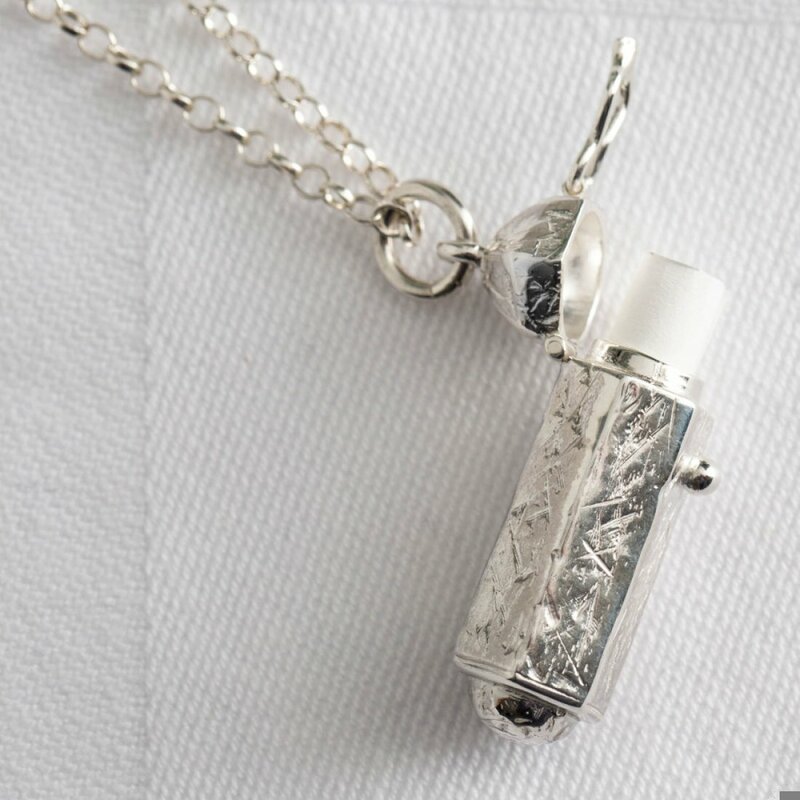 The Dreamkeeper capsule sterling silver necklace by Mosami features a tiny roll of paper inside, where you can write down your dreams and carefully place back in the capsule. Screw the lid on tight and wear. 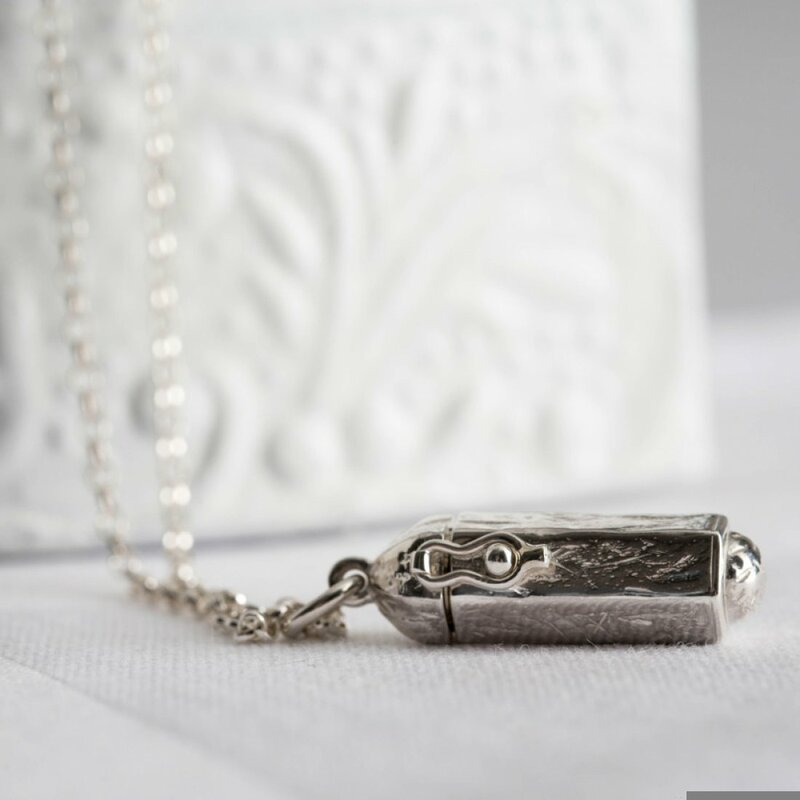 It has a tiny hinged capsule with gorgeous textured and soft polished finish. Made by hand by craftsmen and women at family owned workshops in Thailand. 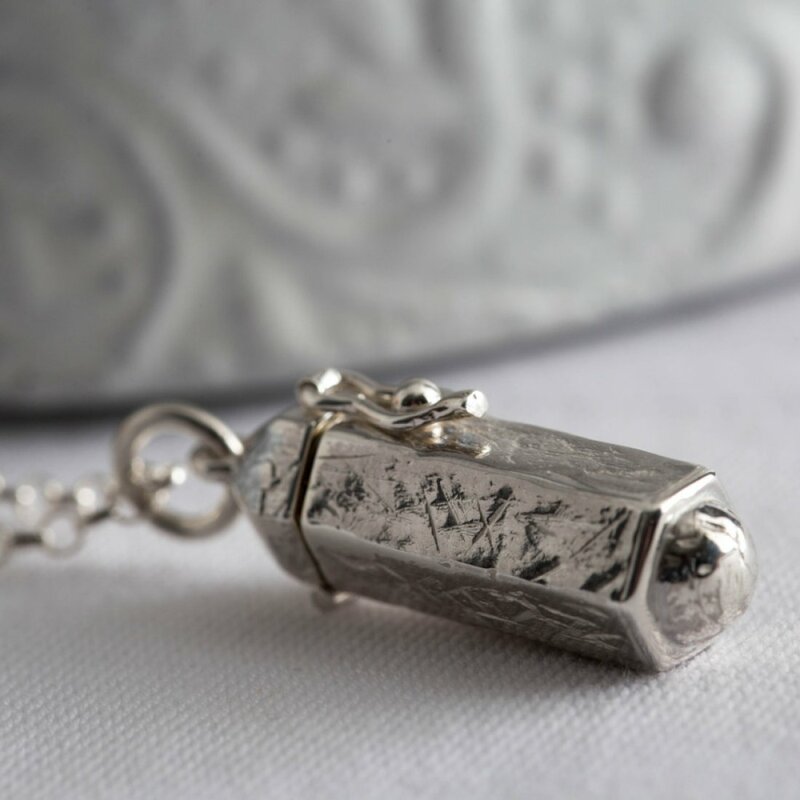 Mosami uses 'second life' sterling silver, which means it's been used for other things in the past such as jewellery, cutlery or an industrial use. It is then reused to produce perfect sterling silver. The Mosami Dreamkeeper Sterling Silver Necklace product ethics are indicated below. To learn more about these product ethics and to see related products, follow the links below. There are currently no questions to display about Mosami Dreamkeeper Sterling Silver Necklace.